Home is where choices are limited only by your imagination. So, relax. Be you. Discover a community with heart, overlooking the heart of downtown Portland. Your apartment comes with the flexibility to choose the details that make your home home. 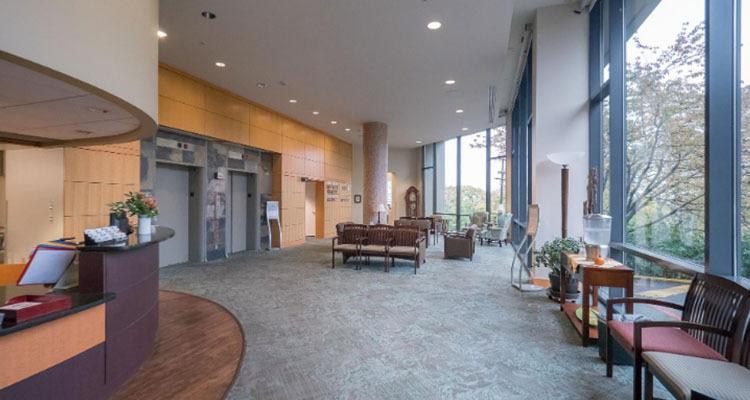 Whether it’s The Heights or The Tower, expect to greet every day in comfort: Terwilliger Plaza residences—and across the campus—give you modern conveniences and old school quality, at a location where the city is always nearby. Live higher up, yet down to earth. Want to rise high above downtown? And give yourself just the right amount of room to roam? The Tower Apartments are bright, contemporary, and full of windows—and possibilities. Maybe you want a smaller space that’s just for you. Or maybe an extra bedroom as an office or guest room. It’s all here—and it’s brimming with natural light. A mid-century original, The Tower’s 12 stories of options opened in 1962. The Tower of today gives you studio options up to two-bedroom, two-bathroom apartments, many with amazing views. The exterior was renovated in 2001, and the interior got a complete makeover in 2013, giving it a fresh, contemporary feel. Add in a view of downtown or the garden walk and you’ll soon be declaring it home with thoughtful abandon. Like to entertain? A full-sized kitchen awaits you with wonderful appliances. Too much sun? Window coverings are included—along with cable television and an even greater sense of community. Available apartments range from 378 to 1,160 square feet. A variety of views are available. Enjoy the room, and rooms with a view. At The Heights, you’ll get a deck ready for serious entertaining. Opened in 2008, The Heights is a contemporary, eight-story residence that gives you plenty of rooms with a view—and a generous balcony with vistas of downtown. With 48 luxury apartments in all, you can choose between two bedrooms or three. All apartments have two bathrooms: a master bath and second full bath. There’s also a gourmet, full-sized kitchen with high-end appliances, Internet, cable, and a laundry room with a washer and dryer. In sum, The Heights is the perfect place to spread out, relax, and enjoy. Available luxury apartments range from 1,280 to 1,895 square feet. Revel and relax in our uncommonly good commons. Naturally, the entire campus is for your enjoyment. 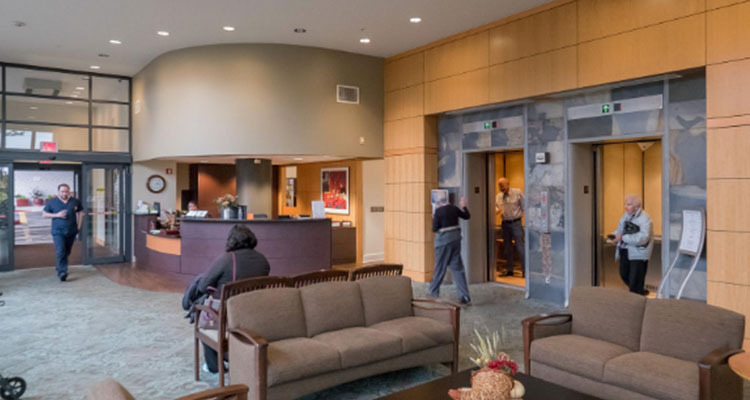 The greater Terwilliger Plaza property includes a variety of common areas to bring people together and make the most of your every day. Book club on the rooftop? Great. Table Tennis tournaments? There’s a game room for that. Meantime, the huge windows flood the spaces with natural light. Sipping coffee with the morning paper has never been this good. It’s the little details that make an apartment a home. That’s why updated units feature one of more of the following modifications. We call them the Standards. Whether you’re choosing carpets or paint colors, we’re happy to help you through the process of making your home your own. Be part of a community with heart. You have perspective. Indulge it. 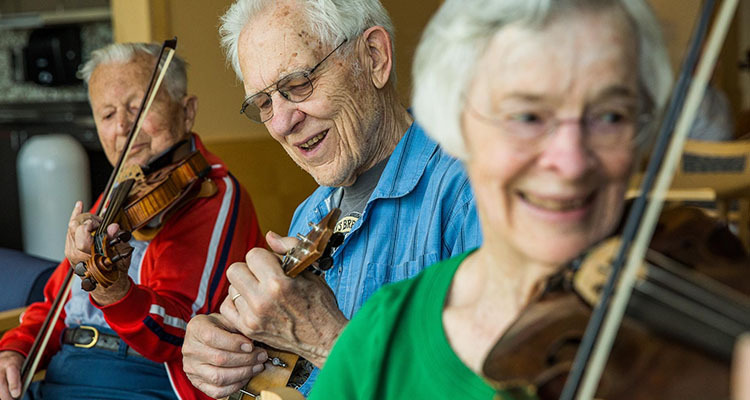 Because we’re only one of a few accredited self-governing continuing care communities in North America, we’re unique in our ability to serve the people who live here. It’s proven. For more than five decades, we’ve been steadfast in our commitment to connect with one another and evolve with choices. The whole city is at your feet. So distinctively Portland, Terwilliger Plaza is impossible to replicate. Every day—as downtown rises and shines—you get to enjoy whatever moves you from the comfort and security of home. Whether you take advantage of the nearby museums, walking paths, or one of the largest year-round farmers markets in the U.S., the convenience is all yours. Declare it home. Welcome to a community where independence is every day. 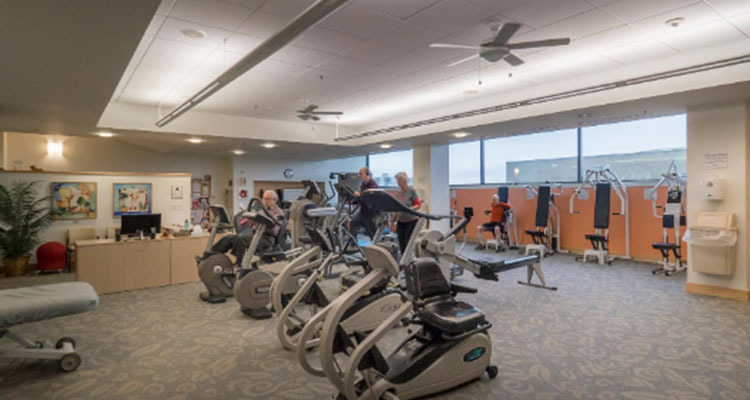 Terwilliger Plaza is a rare not-for-profit self-governed continuing care community, which means the residents have a say in making what’s great even better. 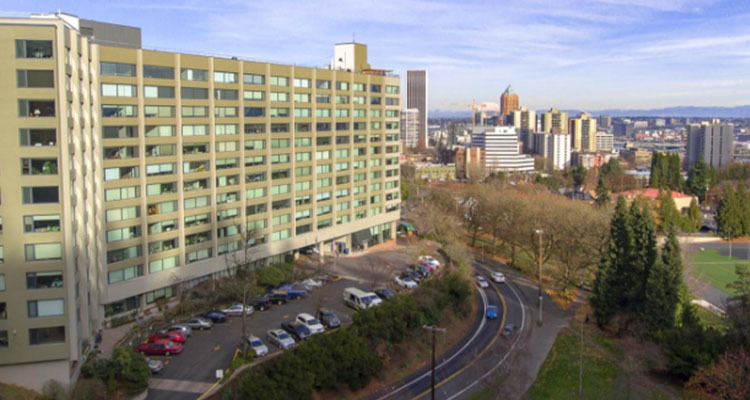 Since its founding in 1962 by the Retired Teachers Association, Terwilliger Plaza has been an independent place for independent people. Self-governance means having a voice and a vote. It’s a model to ensure that we’re doing—and accomplishing—what the community wants. Our Board members live here and are elected by the community they represent. It also helps explain why no one’s required to sign up for a meal plan. Sometimes, all we want is to have someone on your side, in your apartment, bringing you what you need when you need it. Our in-home care provider is Ally In-Home Services, a state-certified and accredited agency to bring you the quality care we all deserve. Because options are available a la carte, you’re able to tailor what you need. Need help sorting your meds? Want rides to doctor’s appointments, friend visits and more? Great! Mind, body, spirit, and caring are one. Wellness is more than a gym. It’s a way of loving life, and it just might be contagious. We take a holistic view of wellness, where healthy outcomes matter. Whether you’re trying to reach your target heart rate or prepare for your goal, we’re on your side. Wellness isn’t just physical. It’s creative. It’s engaging your body, mind and spirit. It’s also very personal. Whenever you’re ready to take a first step, we like to start with a fitness evaluation, identify activities that line up with your passions and goals. 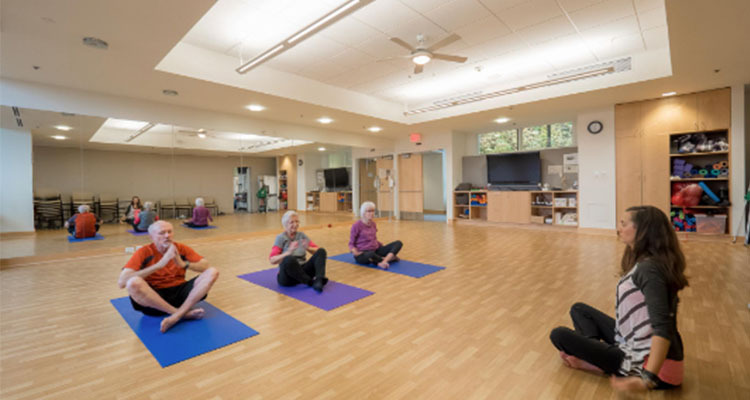 From there, it’s up to you: Mix strength training and cardio with aerobic drumming and aquatics; stretch and find balance in yoga; hit the trails and treat your soul to nature; and then meet with a personal trainer or member on our certified Wellness Team. We’re fans of wellness for everyone. That includes you. Ahh, Portland. It’s the land of food carts and farm-to-fork goodness. It’s all right here, everywhere. Since no meal plans are required, you can eat whatever, whenever you want. From dinner parties prepared in your own kitchen to the fabulous fare served by our staff, being a Terwilliger Freedom Eater let’s you decide. Eat in, eat out, or somewhere in between. Go for crème brûlée in our restaurant or tapas downtown. Grow your own tomatoes on the rooftop or while away at the farmers market. There are no rules, just whatever your mood and taste buds desire. Our kitchen’s chefs oversee our locally-inspired, seasonal menus, which celebrate the best of the Pacific Northwest and elevated versions of home-cooked favorites. Terwilliger Plaza is a vibrant place we call home. Everything and everyone seems to thrive here. Whether it’s our commitment to independence or championing our own health and wellness, we’re busy Living Forward. Activities are here for the willing and new experiences bring out the best in us. From foodies to hikers, wine enthusiasts to bloggers, Terwilliger Plaza is a place for everyone—especially those who think retirement has little to do with retiring. Our impact is here, there, and everywhere. We’re a community of empowered and engaged people. We’re as passionate about the environment as the city itself. On a large scale, we practice sustainability by making sure our mechanical systems are designed for maximum efficiency, including heat recovery systems and controlled carbon emissions. We engage light and elevator timers, roof tiles, composting and more. 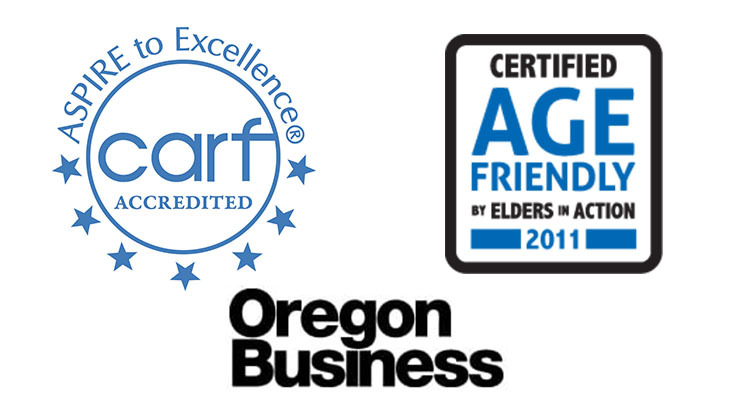 We’ve also been voted one of the 100 Best Green Companies to Work for in Oregon for five consecutive years. Terwilliger Plaza is a not-for-profit, representative self-governed community. We’re also smoke-free, value diversity, and are pledged to the letter and spirit of the federal and state policy for the achievement of equal housing opportunities. We encourage and support affirmative advertising and marketing in which there are no barriers to obtaining housing due to race, color, religion, gender, disability, national origin, or sexual orientation. Since 1991, the Terwilliger Foundation has a rich history of raising funds for everything from rooftop renovations and enrichment programs to employee scholarships, and securing a future for all members with the Lesta Hoel Fund. The Foundation is member-supported, member-supportive, and dedicated to ensuring a strong, vibrant community for everyone. Learn more. We’ve earned our credentials because of our attention to detail.